Continued from "Ar: Helion Rising." This land was once a part of what later became the District of Griffon, just north along the banks of the Crystal Lake. During the troubled times that followed the end of the original royal dynasty, Alphatian aristocrats whose properties centered around Arreghi revolted. The conflict had more to do with control over the Cloudstone mine that lay between lands owned by the two factions. 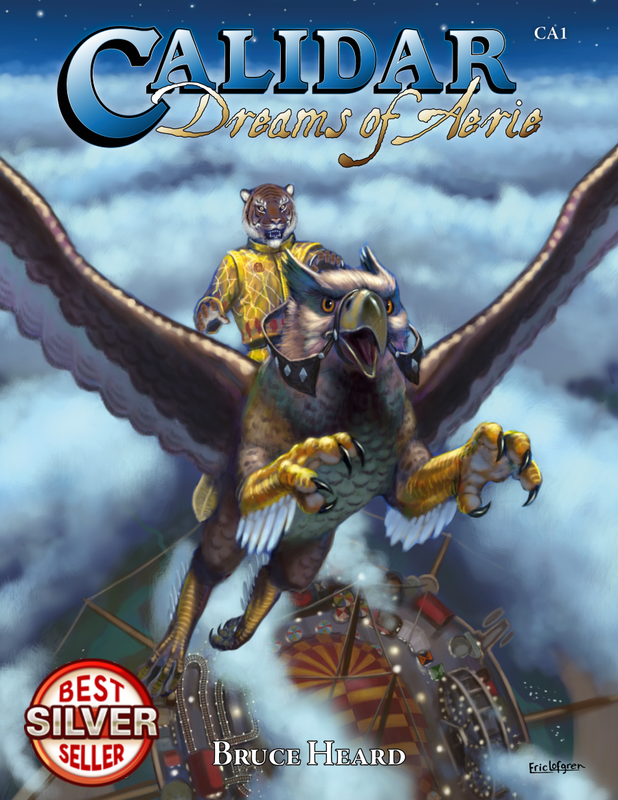 With the ascension of the House of Qimeth to the throne, the civil war came to an end, and the breakaway region became the District of Hippogriff. The Cloudstone mine, although it presently lies within the District of Griffon, belonged to a large number of aristocrats hailing from both regions in roughly the same proportions. It is chiefly responsible for the creation of floating islands in both districts, and is now functioning at a reduced pace, since much of its deposit has been depleted. Worse, infiltration from the lake flooded parts of the giant excavation still bearing Cloudstones. Efforts are still being made to pump water out, shore up weakened shafts, and reinforce porous areas of seepage—a costly project as thankless and gargantuan as it is fraught with dangers. Rogue ogres were seen sabotaging reinforcements, presaging new troubles with the hated race. Continued from "Ar: From Heaven’s Crown to Eternity"
At the time of the Ceafem monarchy, thick woods covered the territory that would later become the District of Helion. With low population and no valuable mines, it failed to develop major towns. Over time, much of the forests were felled, and precious wood sold to neighboring urban centers, allowing the land to be farmed. After the House of Qimeth inherited the throne, local landowners joined the growing kingdom. After negotiation among Alphatian proprietors, which ended with a number of estates going up in smoke, one of them prevailed and stood as their viceroy on behalf of Skyreach. The district’s name came from fragments of a meteoroid that showered this small area. The celestial object’s trajectory had grazed the sun, which led Amburian astronomers to call it a "helion." Meteorites sank through the soft soil on impact, vegetation overgrowing the sites during the following decades. Since Alphatians colonized the region, a number of fragments have been retrieved and brought to laboratories. It was found that they bore unexpected properties, such as heat radiation. Sages assigned to studying these metalloid shards also discovered, much to their horror, that they also provoked physical mutations in living organisms exposed to their auras for long periods. At about that time, clerics became interested. They determined that the original meteoroid was connected with Ixion, an immortal associated with energy, fire, and the sun in particular. Powerful in the empire as a whole, his followers demanded the meteorites be remitted at once to the Temples of Ixion. After a nudge from Emperor Tylion IV and an agreement that all fragments must remain in Helion District, several new shrines were built to collect and house these metalloid shards. Since then, Helion became the center of Ixion’s philosophy in Ar, and an important one in the whole of the empire. The Grand Temple of Ixion stands in Sundsvall. Continued from "Harpily Ever After." What later became the District of Heaven’s Crown had always been a quiet corner of Ar, tucked between Harpy, Griffon, and Ambur. It joined the kingdom later during its formative years, mostly as the result of pressure from the monarchy. An important Cloudstone deposit beneath the surface became the primary motivation for Alphatian settlers to accept royal infeodation, seeking protection and greater market access for their precious mineral. A small town grew from the influx of miners and business-minded people, now known as Crowntrails-upon-Land. Floating islands soon came together, very high in the sky. Seven levitating mountains were sent aloft, with the one named Onyx bearing the viceroy’s capital. The islands were meant to follow a complex rotation pattern, but a miscalculation lead Onyx to fly out of control and capsize. A horrendous collision ensued, which destroyed Onyx and damaged nearby Amethyst, showering the land below with tons of debris. The rubble formed miles of tall hills west of Crowntrails-upon-Land. It is rumored that victims of the crash still haunt those rough and jagged formations, an eerie jumble of walls and domes torn apart, half-sunken monuments, and fragments of statues askew. Bits and pieces of the old capital still exist, trapped beneath the surface like upside-down dungeon-like pockets. The most striking thing is the profusion of bones strangely suspended in mid-air, petrified by Cloudstone dust. Most of the Cloudstones in Onyx were either destroyed, buried under rubble, or escaped through the skyshield. The dust from the collision and the ensuing crash covered much of Heaven’s Crown, and took months to settle. Bruce Heard was hired by TSR after meeting with Gary Gygax in France. His career there stretched from 1983 up until 1997 (When WotC acquired TSR). 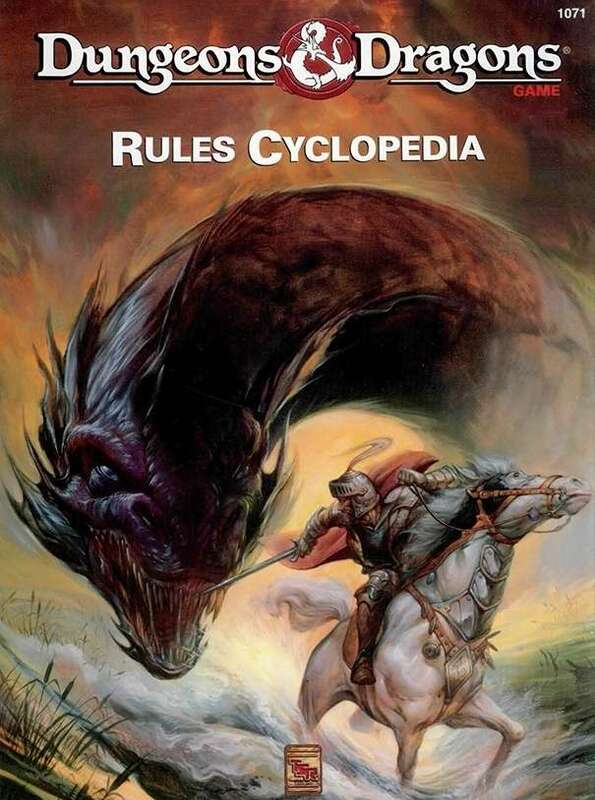 If you are a fan of the Basic Dungeons and Dragons Gazetteers or the Rules Cyclopedia, you have Bruce Heard to thank. He was kind enough to answer the questions below. RW: According to your blog (About Bruce Heard) You were originally hired by Gary Gygax as a translator. After two years, your position changed to Acquisition Coordinator and you also did game design. In 1985, the adventure M1 Into the Maelstrom was released. Into the Maelstrom is a very unique adventure that introduces the concept of using floating wooden "ships of sail" in space. This predates Spelljammer by four years and is the first instance of such a concept in a Dungeons and Dragons product that I am aware of. What inspired you to come up with the concept? Did Jeff Grub utilize your idea when making Spelljammer? What was the development process like? Click here for the remainder of this article. Continued from "Where Eagles Dare." Wedged at the northeastern corner of Ar, Harpy became the last territory to join the kingdom. For the longest time, it had been the heart of a festering plague of harpies feasting upon all that strayed onto their hunting grounds. Yet, the wizardly world moved in, inexorably reducing the harpy horde to its smallest expression. Thoroughly enslaved, a small population survived in what became known as the Harpy District. Levitating monoliths soon coalesced into a large island in the sky. Harpies were removed and secured in magically silenced prisons on Upper Harpy, where they could be better controlled. It became customary for manors scattered on the flat, grassy island to include prison wards for the purpose of providing magical components. Clerics of various benevolent faiths questioned this barbaric and amoral practice. Alphatian paradigms and wizardly justification failed to prevail. Clerics were therefore allowed an opportunity to help address the unharpy situation. It was decided manor houses would build chapels where clerics could indoctrinate these rancorous demi-avians (the latter being well restrained and gagged) and sway them from their evil. This clerical effort pieced together a number of facts. Harpies are the reincarnations of beautiful but evil women’s spirits, which explains why there are no males. They lay eggs, but only when new spirits emerge from the world beyond. The young are typically sent away on their own as soon as they can fly, a matter of a few weeks. In their pursuit of harpiness, these wretches are meant to devour live creatures. Humans and demi-humans are preferred, not just for their taste but also because of their souls. During the slumber that follows hearty meals, harpies in their dream-forms take the lingering souls of sentient victims to their immortal patrons. With enough captive souls, especially good, lawful ones to be tormented in the pits of chaos, harpies may regain their former appearances (more or less), and become undead spirits under the control of their lieges. This explains the fierce competition among harpies and their jealousy of people. They resent better-looking prey or females in particular, whom they will try to disfigure during their savage attacks. Although they aren’t undead, harpies do not age after they reach adulthood.